I am a big candle lover, as I’m sure most of you are too. They’re just so cozy, smell amazing and honestly brighten up my day, no pun intended lol. 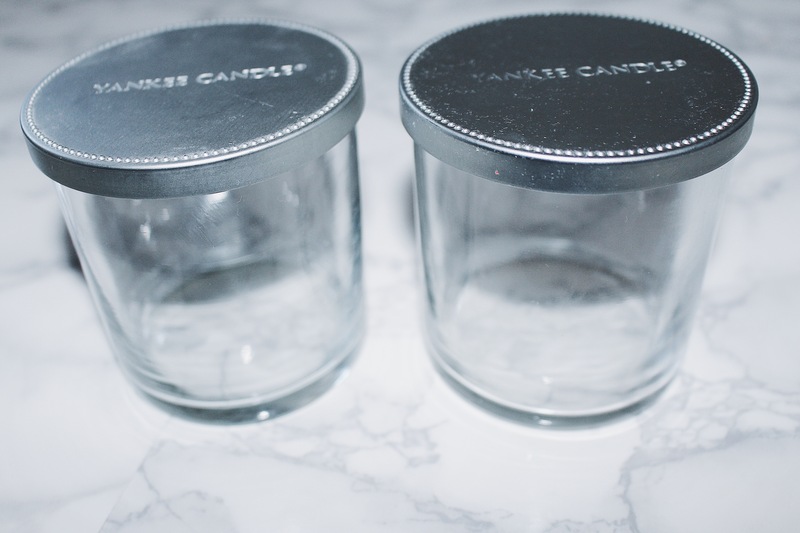 Candles come in really cute and useful jars, so when you finish a candle it’s sad to throw it away. 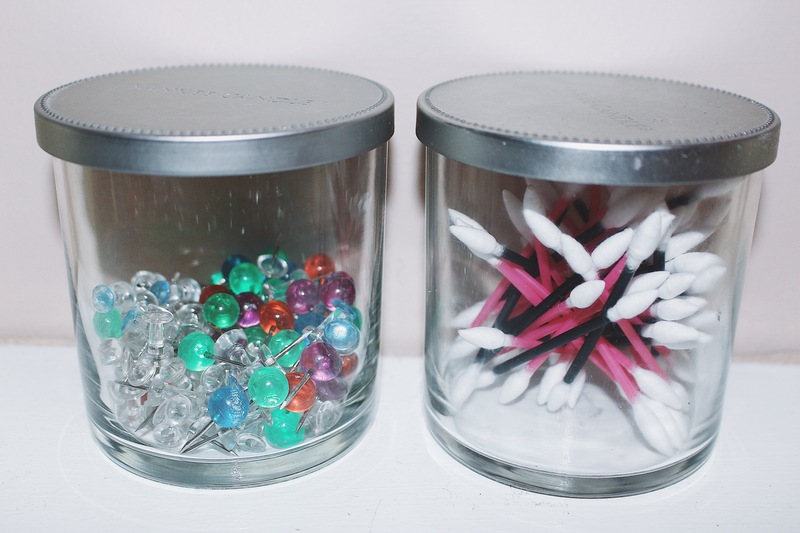 You can actually reuse the jars in many ways! 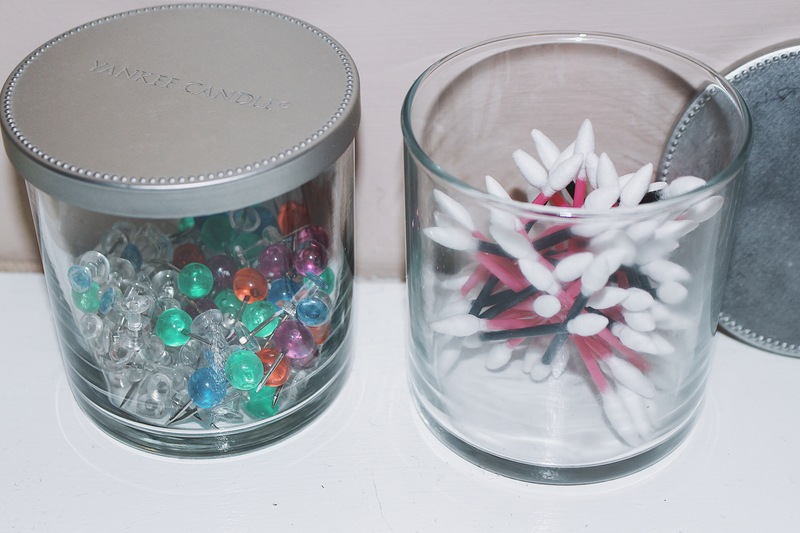 In this post, I am going to be sharing How to Reuse Candle Jars. 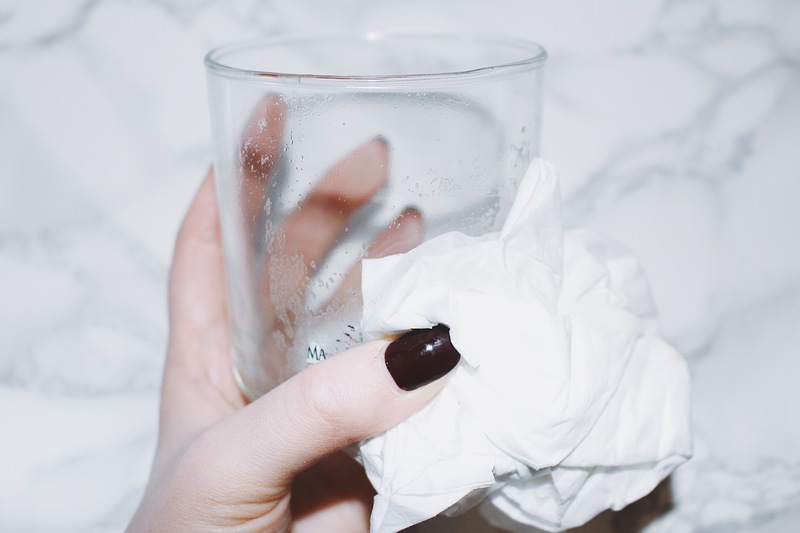 It’s a simple and easy process, just read the rest of this post to see! 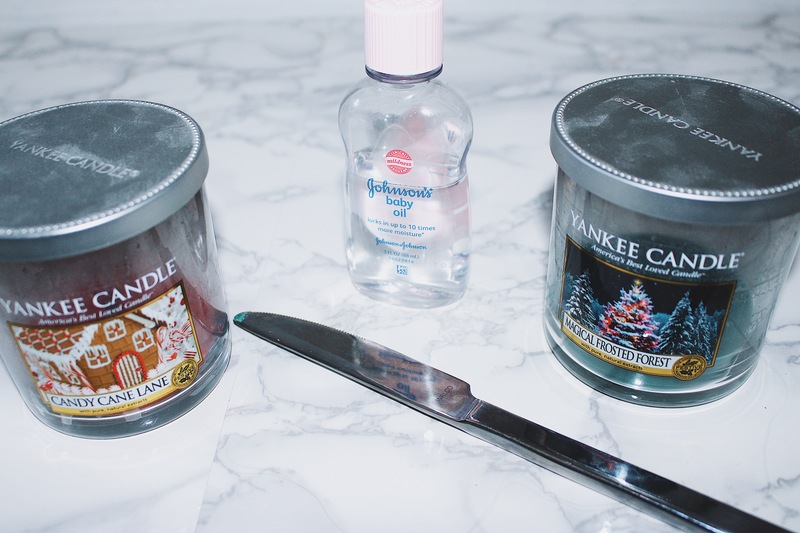 Place your candles in the refrigerator for 30 minutes to an hour. 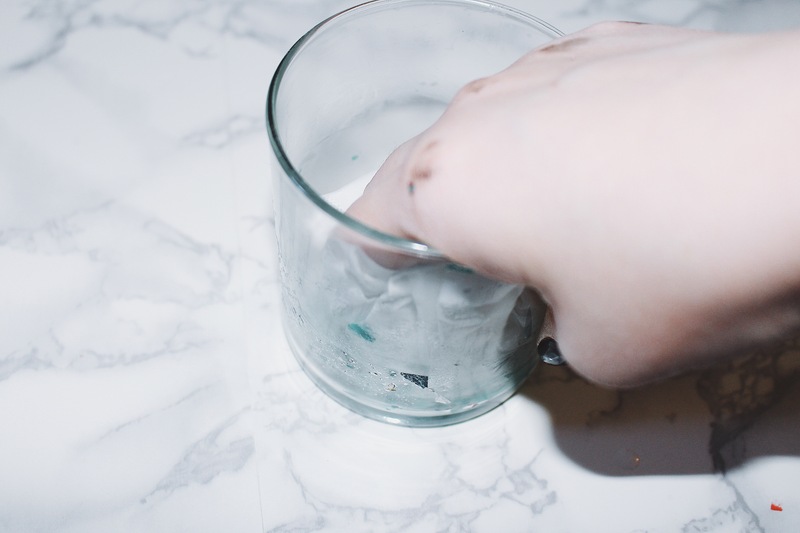 This will cause the wax to shrink and remove from the edges of the jar (the longer the better, I left mine in for 24 hours). 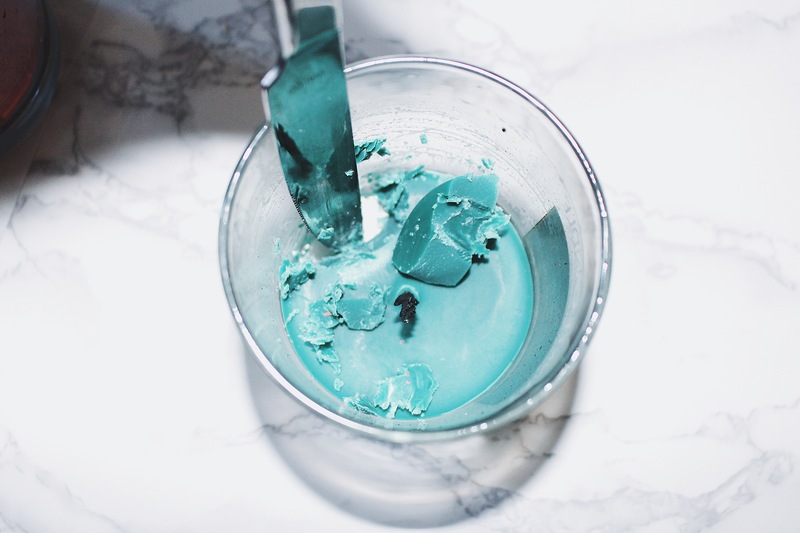 Take a dull knife or flat screwdriver and break up the wax (do this semi gently so you don’t happen to break the jar). 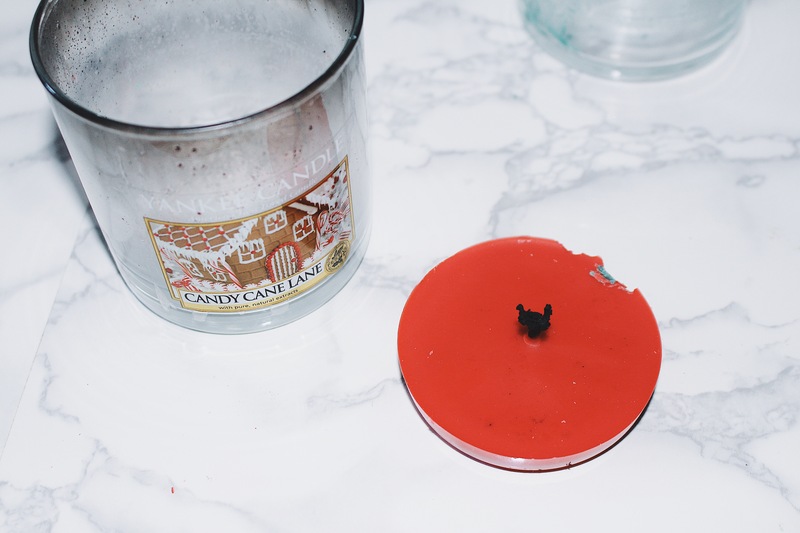 Save the wax for a wax burner candle or throw away. (1 jar wax came out perfectly, the other I had to break into pieces). Take any labels off the jar. Wash jar with baby oil first to get the excess wax residue and any other residue produced by the candle off the jar (make sure you wash outside of jar too). Then, wash out the baby oil with soap and hot water. Optional: Spray paint the lid of the jars. Once dry, glue a decorative knob onto it. 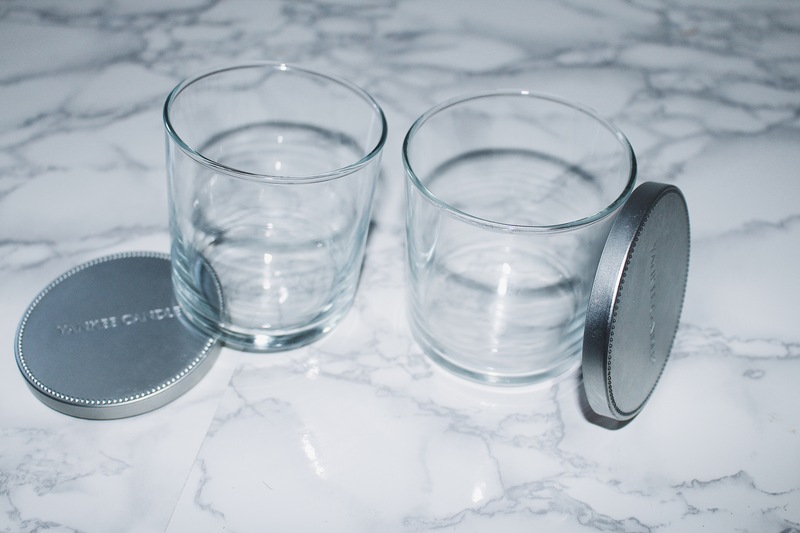 Then print your label and place onto the jar. Fill the jar with whatever you’re going to put in it. 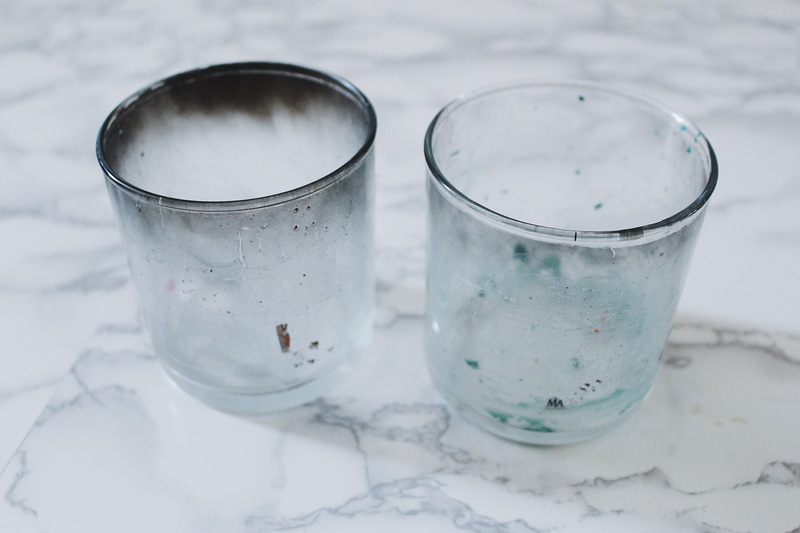 It’s that simple and easy to reuse a candle jar! It saves you money too because if you were going to a store you would’ve bought jars to put your stuff in, but this way you’re reusing something you already have! For my jars, I decided to keep them how they were and not spray paint them. 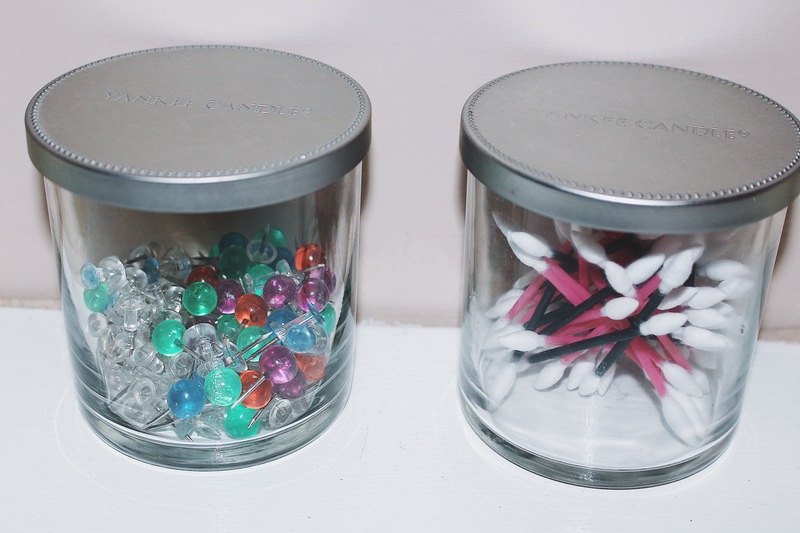 I actually love the sleekness of the candle jars so I kept them that way. 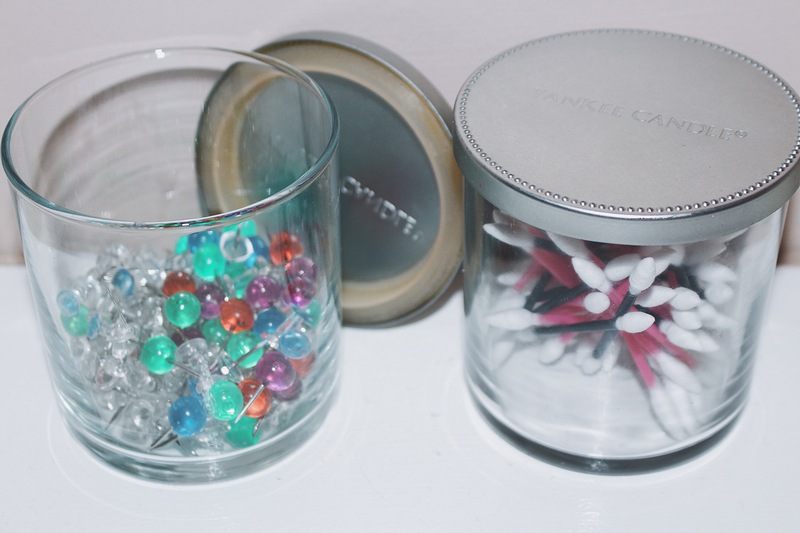 I used one for my makeup cotton swabs and the other for my push pins! I hope you all enjoyed this post! I bet you’re going to look through all your candles now and do this. Thanks for reading!